Few things hurt more than a truly broken heart. It’s a pain you can’t touch, and there is no pill to make the ache go away. 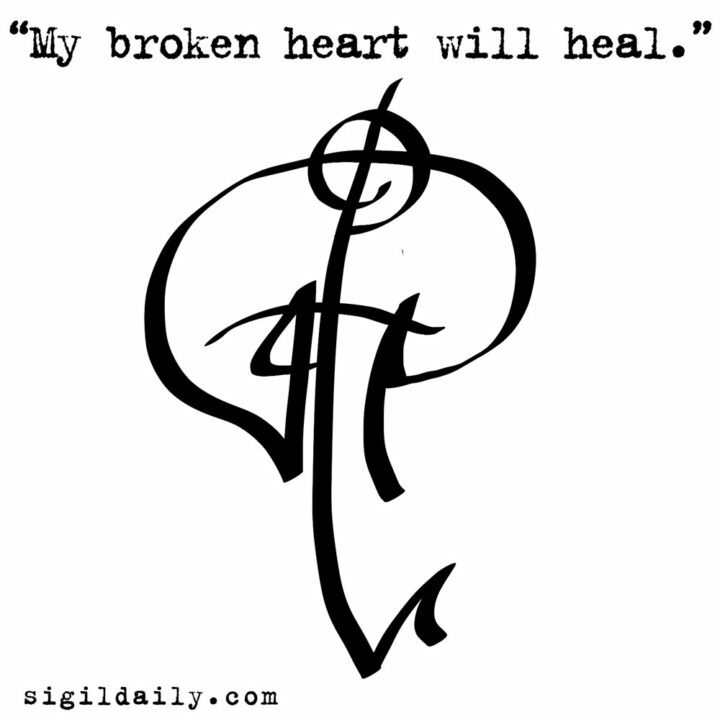 This sigil, created as part of our “Sigil Saturday” project on Tumblr, speaks to the need to move on from the anguish of betrayal, loss, despair, melancholy and other ills when a heart is in need of mending.